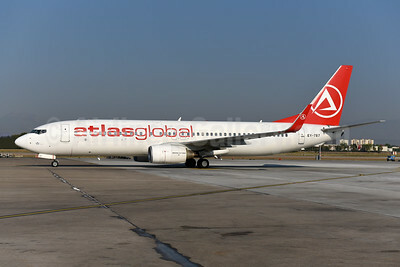 (formerly Atlasjet Airlines) (KK/KKK) (Istanbul) 2015 - Current. Photos. Framable Color Prints and Posters. Digital Sharp Images. Aviation Gifts. Slide Shows. 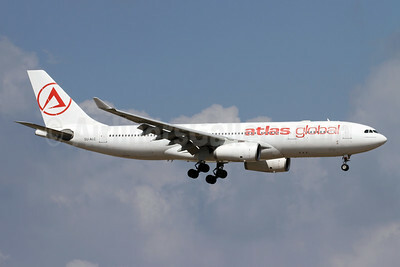 Atlas Global Airlines (Turkey) (Air Leisure Egypt) Airbus A330-243 SU-ALC (msn 392) AYT (Andi Hiltl). Image: 942679. 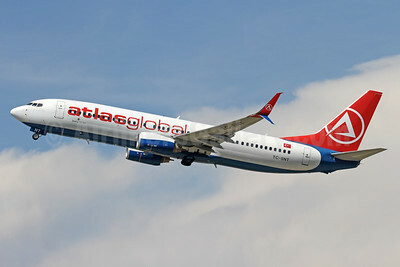 AtlasGlobal Airlines (Turkey) (Simon Air) Boeing 737-8GJ WL EY-787 (msn 34955) AYT (Ton Jochems). Image: 945107. 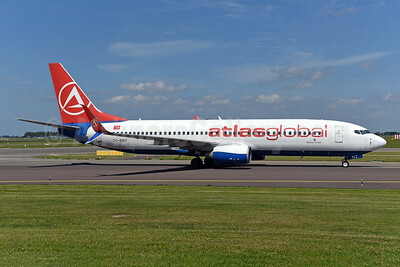 AtlasGlobal Airlines (Turkey) (SunExpress Airlines) Boeing 737-8HC SSWL TC-SNT (msn 40755) AMS (Ton Jochems). Image: 941208. AtlasGlobal Airlines (Turkey) (SunExpress Airlines) Boeing 737-8HC SSWL TC-SNT (msn 40755) ZRH (Andi Hiltl). Image: 938490. 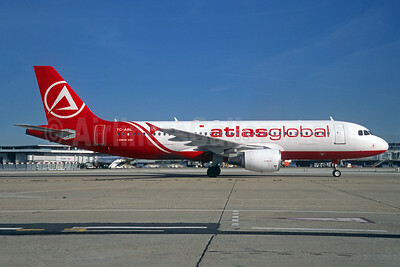 AtlasGlobal Airlines (Turkey) Airbus A319-112 TC-ATD (msn 1124) CDG (Jacques Guillem Collection). Image: 938491. 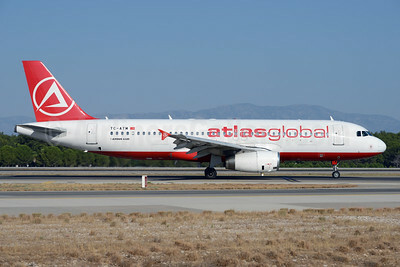 AtlasGlobal Airlines (Turkey) Airbus A320-214 TC-ABL (msn 1390) ORY (Jacques Guillem). Image: 938492. 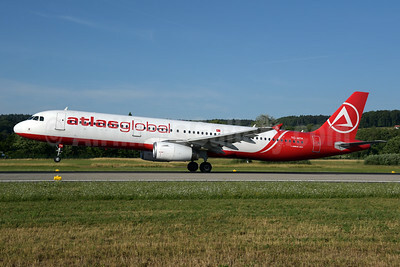 AtlasGlobal Airlines (Turkey) Airbus A320-214 TC-FBR (msn 2524) ZRH (Andi Hiltl). Image: 940227. 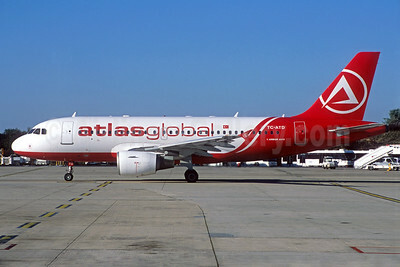 AtlasGlobal Airlines (Turkey) Airbus A320-232 TC-ATK (msn 2747) (Atlasjet colors) AYT (Ton Jochems). Image: 929735. 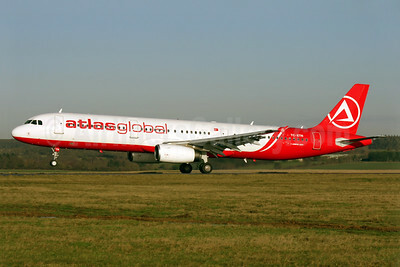 AtlasGlobal Airlines (Turkey) Airbus A320-232 TC-ATK (msn 2747) AYT (Ton Jochems). Image: 939701. 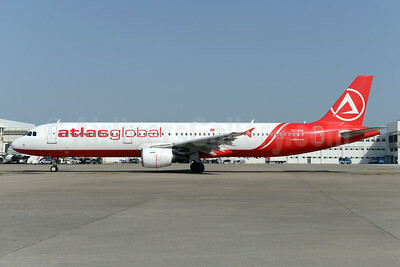 AtlasGlobal Airlines (Turkey) Airbus A320-232 TC-ATM (msn 2753) (Atlasjet colors) AYT (Ton Jochems). Image: 929736. 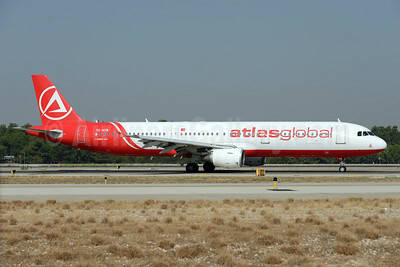 AtlasGlobal Airlines (Turkey) Airbus A321-131 TC-ETN (msn 614) (Bank'O Atlas Card) AYT (Ton Jochems). Image: 939699. 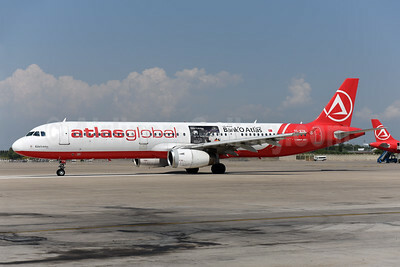 AtlasGlobal Airlines (Turkey) Airbus A321-131 TC-ETN (msn 614) LTN (Antony J. Best). Image: 925605. 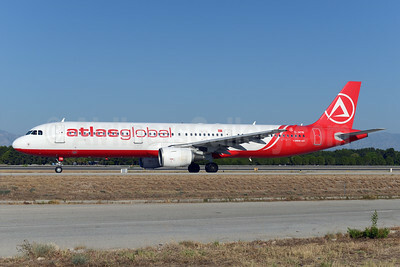 AtlasGlobal Airlines (Turkey) Airbus A321-131 TC-ETN (msn 614) LTN (Antony J. Best). Image: 925606. 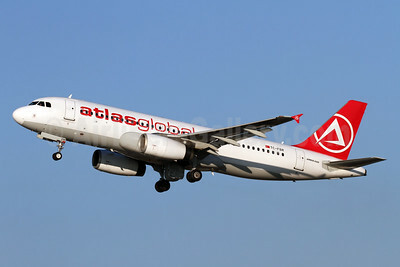 AtlasGlobal Airlines (Turkey) Airbus A321-211 TC-ATB (msn 1503) AYT (Ton Jochems). Image: 929737. 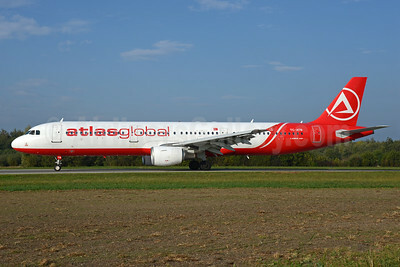 AtlasGlobal Airlines (Turkey) Airbus A321-211 TC-ATB (msn 1503) ZRH (Rolf Wallner). Image: 929729. 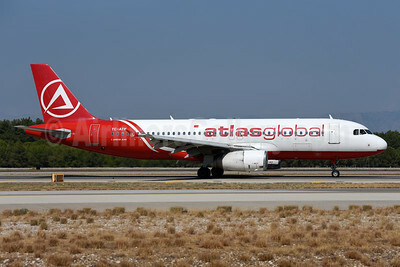 AtlasGlobal Airlines (Turkey) Airbus A321-211 TC-ATE (msn 675) AYT (Ton Jochems). Image: 929738. 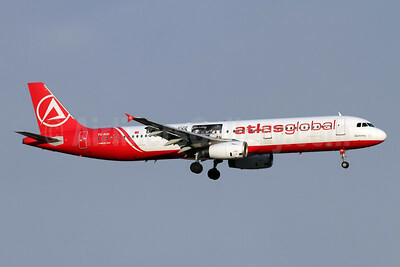 AtlasGlobal Airlines (Turkey) Airbus A321-211 TC-ATR (msn 1451) AYT (Ton Jochems). Image: 929739. 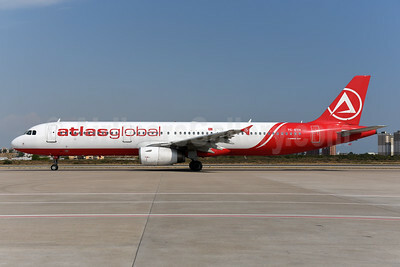 AtlasGlobal Airlines (Turkey) Airbus A321-211 TC-ETV (msn 1950) AYT (Ton Jochems). Image: 942530. AtlasGlobal Airlines (Turkey) Airbus A321-231 TC-AGI (msn 963) (Bank 'O Atlas Card) AYT (Andi Hiltl). Image: 942712. 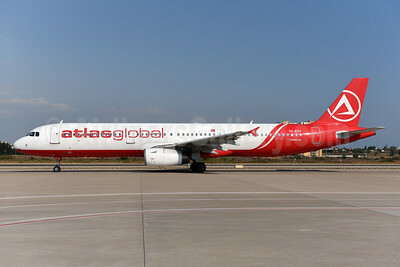 AtlasGlobal Airlines (Turkey) Airbus A321-231 TC-ATH (msn 1953) ZRH (Rolf Wallner). Image: 928480. 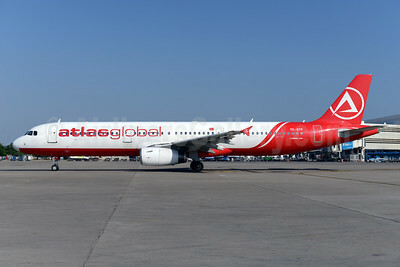 AtlasGlobal Airlines (Turkey) Airbus A321-231 TC-ETF (msn 1438) AYT (Ton Jochems). Image: 929740. 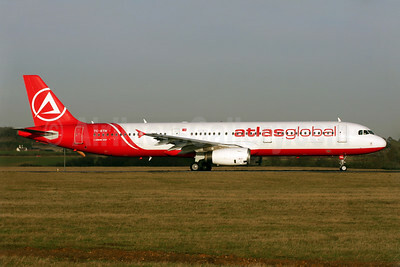 AtlasGlobal Airlines (Turkey) Airbus A321-231 TC-ETH (msn 968) AYT (Ton Jochems). Image: 939700. 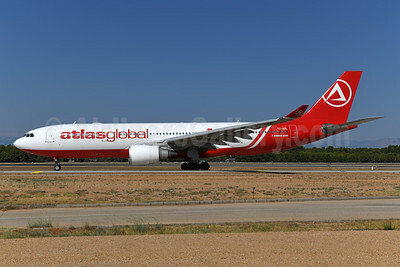 AtlasGlobal Airlines (Turkey) Airbus A330-203 TC-AGL (msn 700) AMS (Ton Jochems). Image: 946202.